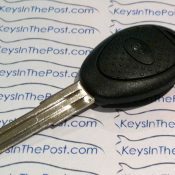 A Vauxhall Meriva remote key, cut to the locks on your vehicle. 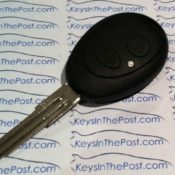 This Vauxhall Meriva remote key includes the transponder chip and 2 button remote, which will need to be programmed to your car in order to disarm the immobiliser. 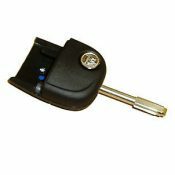 A Vauxhall Combo remote key, cut to the locks on your vehicle. 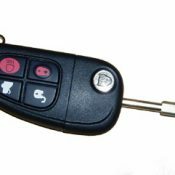 This Vauxhall Combo remote key includes the transponder chip and 2 button remote, which will need to be programmed to your car in order to disarm the immobiliser. A single genuine Jaguar flip key, to clip onto a genuine Jaguar four button remote. This includes the transponder chip, which will need to be coded to your car in order for the engine to start when you turn the key in the ignition. We will cut the key to suit the locks on your car, meaning you don’t have the hassle of trying to find somewhere locally. We will cut and program this key to disarm the immobiliser, and start the engine of your car. All you need to do is purchase this item through the online shop, and call us to book your car in, and we’ll take care of the rest. 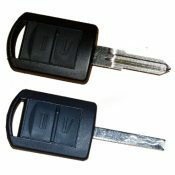 A remote key cut to photo or key number for the X-Type and S-Type. This is an aftermarket part.